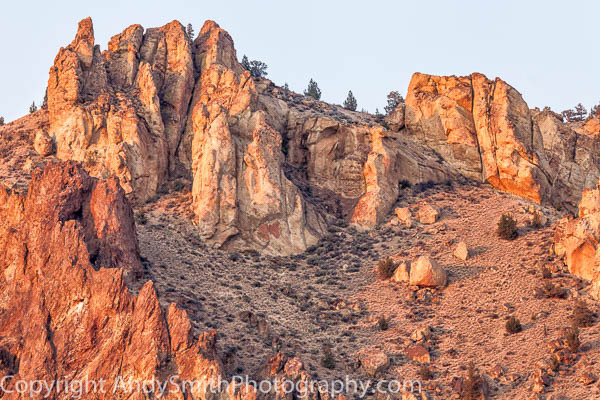 Smith Rock State Park in Oregon is known for its sheer cliffs and is a destination point for rock climbers. Located in the high desert plateau, it has over 1800 climbing routes. It is one of the seven wonders of Oregon. This view of several peaks at sunset when their already reddish color turns much deeper.